Showing this short film to a live audience tomorrow in Moscow. Never expected to present it as such so a bit nervous how it will be received. Was at the venue today checking things out. Good sound - which is welcome as the soundtrack is important. The film was shot in Tokyo and since it has been released on You-tube I have re evaluated the film and re edited it slightly for this particular presentation due to the specifics of the presentation. I will blog about that later with pictures and possibly a video clip of the event. I have been worrying about it for several weeks now mostly about how I would present the film to the audience but all those problems seem to have been solved. The work that I put into this video is now starting to pay dividends in terms of new projects and ideas for films. All the practical experience on this film portended a completely new direction. Have also been working on much of the writing. The next book about the Russian theatre is in the proof reading stage and the publication date will be announced soon, probably just before the spring of this year. Planning an extra chapter about Dostoevsky and the Fairground Booth in the book Blok, Meyerhold and the Fairground Booth thefairgroundbooth.com. Its come about due to further research into the symbolist painters of the time who were involved with theatre set design and theatre in general in Russia and Europe: Benois, Somov,Golovin and more particularly Dobuzhinsky. He designed sets for The Devil’s Play, and an adaptation of Dostoevsky’s The Devils. Dobuzhinsky also designed the frontispiece for Blok and Meyerhold’s play The Fairground Booth. This chapter and section will give an extra depth to the discussion about The Fairground Booth. It will also serve one of my intention which is to put the play in the wider context of Russian and European literature. This post is a fragment from a chapter of the book which will be published some time next year. The context is a comparison between the ballet "Petrushka" and "The Fairground Booth". 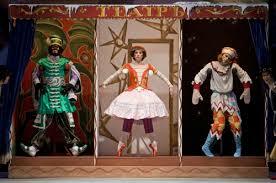 Both share roots in the Russian fairground and the figures of the commedia dell'arte. 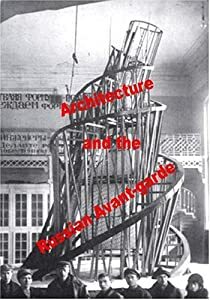 To understand a play like The Fairground Booth which has no plot, no characters, no real sense of forward movement or natural time and broke from the traditions of realism and naturalism, requires an approach to Russian culture which moves beyond its surface reflections. When, as Bakhtin states, Dostoevsky's work embodies elements of carnival, (something which is not immediately associated with Dostoevsky), then it becomes clear why it is possible to find clues to the meaning of "The Fairground Booth" in works of literature as various as "The Brothers Karamazov" and The ballet "Petrushka" and vise a versa. For those seeking unadulterated cultural forms this approach may be disappointing. However it is in this spirit, if we understand the play itself as a mask, that "The Fairground Booth" will reveal itself. 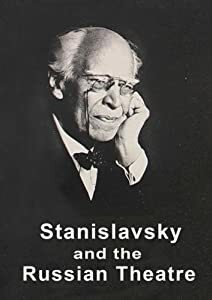 The essence of this play is that it embraced contraries and opposites and did so deliberately in order to open up theatre to some kind of change or reconstitution, something which was desperately needed in theatre at the time and was pursued by Stanislavsky, Meyerhold and Vakhtangov each in there own fashion. New modes of thought born of a new age called for new modes of expression. But where to find these new myths and new forms. Blok turned to the tradition of the fairground with its timeless puppets and the Italian comeddia dell'arte with its eternal masks and together with Meyerhold they forged the beginnings of a new theatre. The examination of the ballet "Petrushka" has led us to a wider contemplation of the Fairground Booth itself. We can go a little further and examine some of the paintings and works of the artists of The World of Art movement with Benois as one of its leading figures and the author of the libretto of "Petrushka" in relation to "The Fairground Booth" in which the figure of Pierrot and the Russian version Petrushka are on some levels interchangeable. 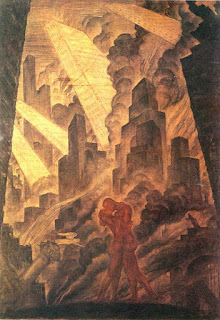 There is a painting which caught my eye partly for its apocalyptic character by Dobuzhinsky called "The Kiss". It shows a couple embracing against a futuristic apocalyptic background, a city-scape shrouded in mist and smoke and self combustion. It is strangely alluring and threatening all in one glance. The naked couple is reminiscent of Rodin's "The Lovers" but more in keeping with Klimt's "The Kiss". It is not immediately connected with carnival until we look a little further. Such images crop up in many paintings by members of The world of Art movement and are connected with the themes of the fairground and the comeddia dell'arte. For instance there is a painting by Konstantine Somov called "Death and Harlequin" 1907, which shows a skeleton dressed in a sable cape with what looks like silver teardrops sewn into it. Harlequin thumbs his nose at Death, the female skeleton figure, (much like Petrushka thumbs his nose at the magician at the end of the ballet after he has been killed by the Moor and reappears as a ghost). 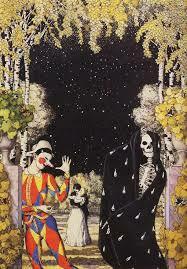 In the middle distance behind Death and Harlequin is a couple dressed in contemporary evening wear, kissing passionately. Its not a great looking work of art in the style of Rembrandt for instance using richly variegated paint surfaces and is more in the decorative ornamental style which was so popular at that time then and related to The world of Art's involvement in theatre. The scene is repeated in various guises in other paintings by Somov especially a colour sketch for a theatre curtain for The Free Theatre in Moscow in 1913. In this sketch all the elements of the commedia dell'arte are present, The devil, harlequin, Pierrot, a young woman to the side in a pose of melancholic meditation and in the centre a man and a woman trying to reach out to each other but are separated by the break in the curtain. This separation reminded me of the author in "The Fairground Booth" (who in this sketch appears perhaps in the guise of a bald bespectacled man, the only figure not in a mask) who trying to bring together Columbina and Pierrot but are separated by the set of the theatre flying away before they can renew their relationship and join together. Above the whole scene cupids and figures from Greek mythology languish in the clouds above. These coincidences are further underlined by one curious fact which is common to many of these paintings. The theme of unobtainable desire. Many times there is a couple who is estranged and alienated from one another. Something is wrong or amiss despite the merriment of the carnival and despite the passion surrounding the kiss . In all the paintings depicting carnival and the harlequinades there is an underlying disquiet or even violence, as in "Columbina's Tongue" 1915 where Pierrot is threatened with a stick by a Harlequin like figure, who is poking out from behind the giant skirts of an over-sized Columbina dominating the entire canvas. The passion is called into question by for instance in Somov's Death and Harlequin by the appearance of Death in the foreground. With Dobuzhinsky's version the towering city of chimneys belching steam and the overwhelming skyscrapers leaning at odd impossible angles and the old symbols of the city are being engulfed in flames, angels are falling ( the angel on top of the column in St Petersburg on Palace Square). The white skyscrapers (white being the colour of the apocalypse) seems to be growing out of the destruction.Here an odd conjunction occurs which has been touched on earlier and Dobuzhinsky's painting embodies this connection. It has been argued that in his version of "The Kiss" Klimt represented the moment Apollo kisses Daphne, following the metamorphosis of Ovid's narrative. I don't know if this is the case or not but if we follow this logic then it can illuminate further some of the themes that have been explored earlier. Here the myth of the metamorphosis of a human being into a tree reoccurs. but by the cruel outrage of cupid. After an argument with Phoebus (Apollo), cupid shot two different arrows at cross purposes with one another. One arrow struck struck Daphne and the other Apollo. One was in love and the other would have none of it. Apollo pursues Daphne from an excess of passion and Daphne flees across the the land eventually appealing to her father to protect her. Scarcely has she finished her prayer and she is transformed into a tree for her own protection. Apollo even despite such a metamorphosis presses his lips to the wood with the warmth of his passion still aglow. The first thing that strikes one here is the idea of an unobtainable love which is present as a motive in the legend of Narcissus and Echo in "The Fairground Booth", Echo and Narcissus in their different ways, yearned for the unobtainable. It is also featured in the love scenes of the three couples in the play as well as Pierrot's final estrangement from Columbina and is present in paintings and art from the The world of Art movement. Somov was homosexual as were several members of The World of Art movement and the idea at that time of unobtainable desire must have been particularly problematic but rich in material for him as an artist. For the lovers in Dobuzhinsky's painting however there is a difference. While they are being engulfed in the destruction they somehow stand out from it, surviving in a fiery embrace, seemingly oblivious to the tempest around them. In another painting by Somov, Italian Comedy he depicts a carnival of masks with harlequin, Columbina and Pierrot. Above them almost unnoticed is a wall of arches with one of the column of the arches appearing as if it is about to metamorphosis into a demon monster ready to devour the merrymaking mask below. It is worth recapitulating what has been said earlier with regard to the story of Attis and Blok's interest Cattulus's poem abut Attis and Cybele who changed Attis into a Pine tree, which henceforth became sacred. Attis gradually becomes and acts as a female. Then again Attis (in my opinion) appears as Ariel in "The Tempest" who was preserved in a pine tree on the island and is released from his suffering by Prospero. 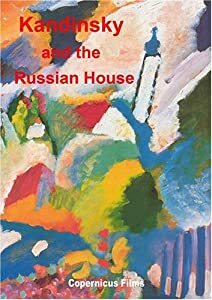 These themes, especially those which spoke of metamorphosis and transformation were a constant preoccupation with Russian artists and writers of the early twentieth century, delving into classical antiquity to illuminate their concerns with the present and future. Sometimes they are so hidden that one could be forgiven for seeing things where they do not exist. However, as always art always invites speculation. In one painting called "The Resting Comedians" 1914 by Sergei Sudeikin who as well as being an artist was also a theatre designer and at one time worked with Meyerhold in arranging the theatre House of Interludes (1910-1911. His art included many scenes taken directly from the fairground and harlequinades. Here the scene shows a group of travelling players resting in a forest glade by a lake. On the right hand-side is a figure which could be human or could be a mannequin - half puppet, half human but either way it is embedded into the tree almost as part of the tree and in its mouth there looks to be what I can only describe as a pine cone. Metamorphosis for symbolists was the essence of creativity as has been stated elsewhere and so it is not inconceivable that this small detail referencing a human being transformed into a tree is deliberate. So why one might ask should we concern ourselves with paintings and graphic works from this time in relation to "The Fairground Booth". The obvious answer is that many artists especially from The World of Art movement actively participated in theatrical design and production. However there is a deeper, more direct reason. "The Fairground Booth" presents us with an ornamental world not a real world and this was a conscious attempt to subvert realism and the naturalism of theatrical practice and develop new dramas and new theatrical forms. Part of this process was questioning the foundations of theatre itself. The Fairground Booth's other title was "The Puppet Show" (from the puppet booths of the Russian fairground) and in both the play "The Fairground Booth" and the Ballet "Petrushka" the scenes resembled a picture gallery where the figures in pictures and drawings from bygone theatre jumped from their frames and became living entities before our eyes. This phenomena is literally performed in the ballet "Petrushka" when the magician brings Petrushka, the Ballerina and the Moor to life with the touch of his flute and they step out of their booths/boxes/frames and dance like any living animated creature. 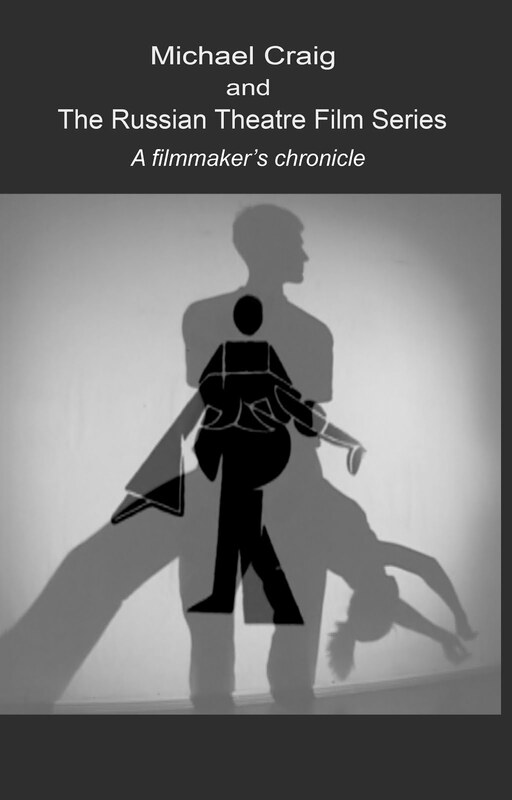 It is a comment on the creative process itself and also raises questions about the self and the view of the actors task as an autonomous free entity. Dance and movement as a component part of the theatrical and dramatic process was a new and fresh approach in theatre. We began with the ballet "Petrushka" and in conclusion we return to the theme of dance which permeates all these works from "The Fairground Booth" to "Petrushka" and to those works which feature in one form or another carnival motifs. In this context we can highlight what can be called the Dance of Death, stalking the epoch before the Revolution and the first world war and which haunted the cultural milieu of Europe. It also appeared in its symbolist manifestations from Les Fleurs du mal of Baudelaire to Poe's "The Cask of Amontillado" which is set during an Italian carnival. Poe's plague ridden "The Mask of the Red Death" where Death visits the ball in the guise of a masked stranger comes to mind in this instance as well. For our purposes in explaining and revealing some of the themes which inform "The Fairground Booth" the dance of death is ever present. It is Columbina who appears at the beginning of "The Fairground Booth" as Death. For the mystics she is Death for whom they have been waiting. For Pierrot she is his fiance. This double interpretation paves the way for what is to follow, a series of ambiguous and multifaceted theatrical phenomena and doubling. 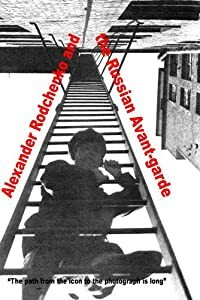 This enabled Blok simultaneously to tip his hat to his symbolist leanings but also criticise them in this work of self parody, a trend which intensified up to and beyond the Russian revolution but abruptly ended when it was replaced by Social Realism as the dominant artistic movement in Russia in the early 1930s. It also gave Meyerhold a chance to experiment with new forms of theatre which entered the mainstream of Russian and Soviet theatre after the revolution.